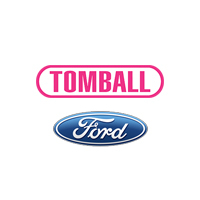 Tomball Ford shows their love for the people of Spring by offering new, used, and certified pre-owned inventory in one convenient location, and at a competitive price! Spring customers years of support have allowed us to give back to our community, and for that we are grateful. We love our community and ask that the people of Spring, Texas continue to choose Tomball Ford for all their automotive needs. Tomball Ford is located a short drive from Spring, Texas. Once you arrive at our beautiful showroom you will find a current new car inventory, a massive used and certified pre-owned inventory, a state of the art service center, and a friendly staff. Tomball Ford wants members of the Spring community leaving with a smile in the car of their dreams. We are committed to you. We encourage you to browse our website. You can meet our vehicle specialists as well as our service advisors. You can also view some of our most recent community involvement. At Tomball Ford we strive to help our customers get what they are looking for. We offer various lease options. We encourage you to fill out our online credit application from the comfort of your own home. You can also calculate your monthly payments using our online payment calculator. We want our customers to be comfortable and satisfied with their purchase. Years of satisfied customers is what has made us the preferred Ford dealer of Spring, Texas! We are located at 22702 Tomball Parkway • Tomball, TX 77375. We are looking forward to serving you. Thanks to Josh and Matt who was very professional helped us get a new Ford Expedition for my wife first vehicle. During our exam of the vehicle we did notice a scratch but we were reassured it will be taken care of this Thursday. My family has purchase over 3 vehicles from here and we won’t stop. There’s no better place in Texas.